Drug distribution or trafficking laws penalize the selling, transportation, and illegal import of unlawful controlled substances, such as marijuana, cocaine, heroin, methamphetamines, and other illegal drugs. The punishment for drug trafficking can vary widely depending on several factors including the type and amount of drugs involved, the type of drugs, geographic area of distribution, and whether children were targeted. Sentences for drug distribution and trafficking can generally range from 3-5 years to life in prison. Drug trafficking/distribution is a felony, and is a more serious crime than drug possession. If you are found in possession of drugs, you could be charged with trafficking if police believe you intend to sell them. If you are found with a large amount of drugs or cash at the time of your arrest, it is likely you will be facing drug distribution charges. Drug distribution or trafficking also applies to the illegal distribution of prescription drugs, such as pain killers or sleeping pills. The illegal distribution of prescription drugs often involves hydrocodone products and pharmaceutical opiates. When a state or federal government classifies a substance as “controlled,” it generally means that the use and distribution of the substance is governed by law. Controlled substances are often classified at different levels or “schedules” under federal and state statutes. For instance, marijuana is listed as a “Schedule I controlled substance,” cocaine is listed under Schedule II, anabolic steroids under Schedule III, under the federal Controlled Substances Act. 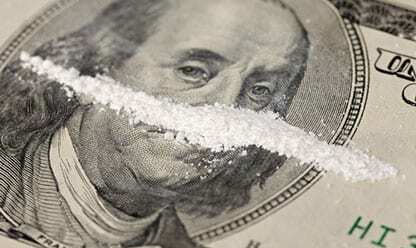 Both federal and state laws come into play on drug trafficking cases. There is a multitude of federal drug laws on the books, plus each state also has its own set of drug laws. Many state laws are modeled afte r the federal laws and provide minimum sentencing standards for offenders. Lawmakers generally pass these laws to deter the major drug cartels, but more often it is the lower level dealers that get prosecuted. Indeed, the controversy around drug trafficking laws is that a petty drug dealer can often face a longer sentence than violent criminals.